DH may not always mean Darling Husband! "What a lovely pair of knockers!" Anyway I will not be using that as a title but will continue on blogging. So as his comment leads to our latest purchase I will tell you about it. We found this site called Twins UK and it has some great articles for twins and mutiple births. The twin carrier was something that really caught my eye as I was thinking how are we going to get around while we are doing baby pick-up in May and June. 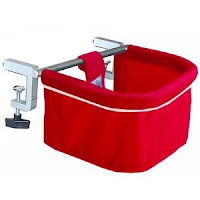 Prams are definitely out in Delhi and even though we have the soft carriers it will be difficult to manange all 3 if we are down to 2 adults as we might be some of the time. So this article seems perfect and we ordered online and had a friend bring it across from the UK(thanks Raj ) . Here is Justin modelling for it and is where he came up with his title. We also recieved further scans on our little one (the singleton) and the 3D images of this bubble. This little bubble seems to want to be special so is dragging his/her feet and the due date is 10 days behind the twins…. am so seriously hoping this will narrow down to under a week so that we can minimise the time we spend in Delhi….. monsoon season will be a test! But the 3D images are sooooo cute! Already a prima donna! Next set of scans are due on the twins about the 20th of this month but will not be 3D (I don't think ) but will still post and update as we go along. The nursery is slowly coming along…. will need to find a bigger place but can manage with what we have now until after the babies are home with us…. but if that ideal place happens along in March/ April we will move then and will really be able to set up the nursery as we want to. 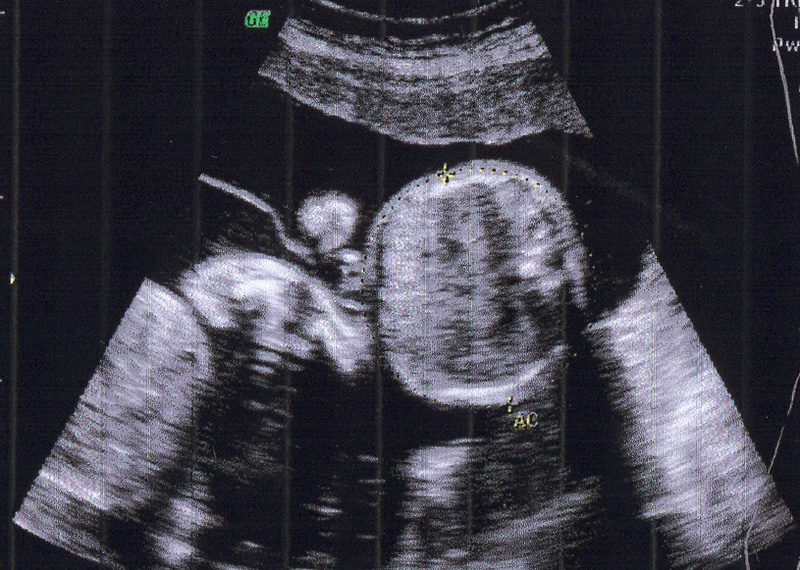 Today we received early scans on our little twin bubbles as there was a slight scare with a small bleed…. 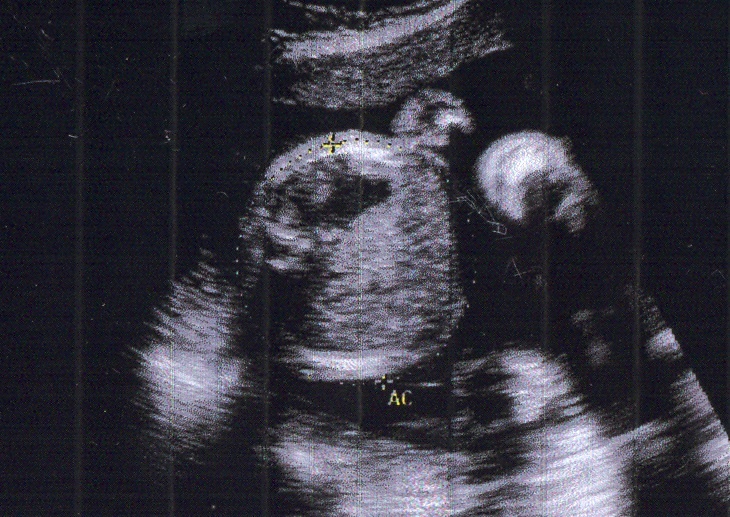 everything is fine and the babies are okay but they did send us some lovely new scan shots….. Justin feels that this one might be a boy as it is lying back chilling(or is that something we can see???)! This little one is waving to say hi (or maybe trying to push the scanner away) so I believe might be a very social little girl….lol. 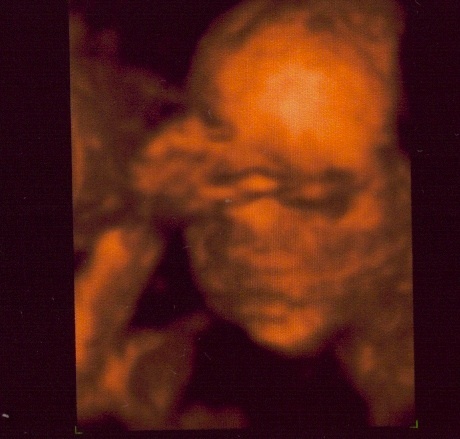 The scans say that they are weighing about 500grams each now and are 22 weeks and 2 days…. gulp time is slipping away on us. That puts them 2 days bigger than the last results but these things are very hard to determine at this time …. so due dates will remain the same (approximately anyway). Just to fill everyone in I will try and give you a basic rundown of our story. My husband Justin and I have a very long history together... over 35 years really. The story is that our parents were friends in the 60's , lost contact and then bump into each other again at a family carnival. At that stage I was 12 and Justin was a youngster of 3! There was no instant attraction except the potential to earn babysitting money....lol. Anyway our families remained good friends and Justin and family (Peter, Pam and little sis Carina) have featured in some major events in my life. They are also the god parents of my son and now step grandparents to both Damien(22) and Gabrielle (17) who are the children from my first marriage. Needless to say when Justin and I started to date 10 years ago both sets of parents(Anne, Vince and Peter ,Pam) got together and said they would stay friends regardless if we continued our relationship or not! That was over 10 years ago and since we have been married 6 going on 7 I think we are fairly committed..... our wedding was a wondrous occasion with all family and friends celebrating with us. The only damper on it was the knowledge that we could not have children together as I had had surgery following the birth of my daughter that prevented me from every carrying again. Justin was wonderful and said that was okay... he was happy to be a stepdad to Damien and Gabrielle. But I knew different... I knew that the urge to have a family is not a woman's desire only... and within a year of us getting married we were looking at our options. The adoption register was closed (too many people on the waiting list!!!) and we were advised that we would not be considered as we had not been married long enough and because of my age we would not be eligible for a child under 3 even if we did get on the register. 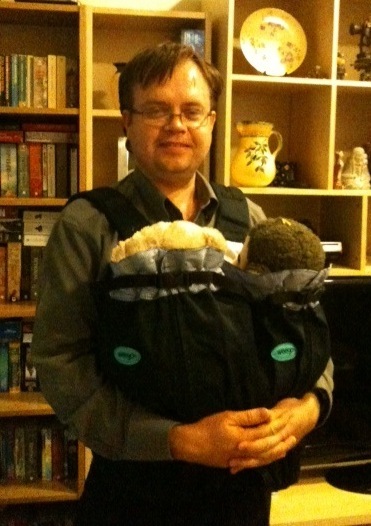 Our research turned to surrogacy and my wonderful sister said she would happily carry for me... but alas we were advised that we (by that I mean me) were too old as both intended parents had to be under 38 and I had gone 41...who said that "40 was the new 30".... obviously the law makers didn't agree! With that we thought we had lost all options as there was no other way we could see to proceed. At this point we turned to look outside of Australia and first ventured to Thailand as it was a close neighbour and seemed to have a process in place that we could legally have a child through surrogacy. So off we jetted to Bangkok to met up with the co-ordinator of the clinic.... all seemed to be going well and we were extremely happy with the doctor and the hospital. Then the question and answer that changed it all.... even using my eggs my name would not go on the birth certificate as the laws had just changed! When we tried to discuss further options the co-ordinator refused to meet us and left us very disappointed and disillusioned about this process. Home we went thinking that this was the end of our hopes... even though we fleetingly had heard that there was an option to do surrogacy in India, we were too nervous and unaware to jump on the next plane and continue searching.... if only we had! Instead we headed back home to lick our wounds and repair the bank balance and decided that our life needed to take a new direction. Both of us decided that maybe working overseas would be a good option for us and allow us to travel and fulfil some of our other dreams. Mid 2008 we traded the shores of Australia to travel and live as expats in the middle east, with Gaby joining us for 8 months of that time... it was great to have this adventure together. Needless to say the desire to be parents never dies and watching Justin one night when we were out with friends was heart-rending as he watched the father with his young daughter curling up to sleep on his lap and made me more determined to try and fulfil our dream. His eyes spoke volumes! Our gaze took us to Mumbai and the amazing diverse, electrifying, aromatic and vibrant country of India. We proceeded with one clinic in March 2009 and I commenced treatment to trigger me to stimulate as many eggs to gather to try for a fresh transfer to our chosen surrogate. Unfortunately we only gathered 6 and 3 developed into transferable embryos of which after the agonising 2 week wait to find that we were unsuccessful.... we were devastated as was all our family as we had told everyone what we were doing. Looking back we should have gone straight for an egg donor as my age was against us getting viable eggs. After another 8 months we felt ready to look at our options again... a friend had been successful with surrogacy and had a delightful baby girl so this proved to us that it was possible. We looked at other clinics and finally decided on a great one in Delhi. 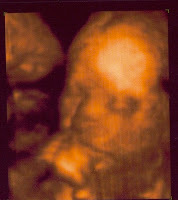 This time we also had chosen an egg donor who features closely resembled mine and all was set to go in March 2010. The clinic, doctor and staff were all wonderful and made us feel that this was the time... and we had only told a few people that we were trying again as the distress that we felt when we got the first negative was terrible for all. Well we travelled over and Justin did his thing and we headed off to have a holiday with Damien and Gaby....It was a great holiday only to be told at the end.... negative result! The feeling of been punched in the stomach and losing all the wind is probably akin to how we felt at that moment.... no success even with donor eggs! That seemed to be the end of it... our emotions were raw and our bank balance was hurting.... time to give it up.... so we told ourselves. We spoke to the clinic and they supported whatever decision we wanted to go with but did offer that they would get us pregnant if we wanted to try again. Initially we said no and tried to plan for a future without the children we wanted together. This seemed promising and we got our dive certificates and planned mini holidays... but always thinking "Just one last attempt!" After hedging around the issue we both agreed that we would give it one last major attempt... the final one... both agreed that this was it and we would never try again if we got the dreaded negative this time. To increase the possibility the clinic advised that we could use 2 surrogates and at least one should fall pregnant.... many other couples had done this and most ended with 1 maybe 2 babies... so we decided to do this as it was our last attempt. So end of September 2 lovely ladies became our surrogates and we waited for the dreaded negatives.... and now here we are 22 weeks later with 2 very strong positives... one SM with twins and the other with a singleton.... our 3 bubbles are going to prove to us to never give up! We have been slowly getting stuff organised for the arrivals of our triblings (3 siblings ... not quite triplets! )and have accumulated a large amount of stuff! Yesterday we headed to a flea market that did only baby and children's stuff and got some great bargains... a portacot for $10 (aus) that is like new and the best was 2 phil and ted metoo travel high chairs.... they are brilliant as we were concerned that having 3 normal highchairs would be a real pain as they take up so much room. These ones attach to any table and can be taken out with you anywhere.... not that we anticipate going out much...lol. 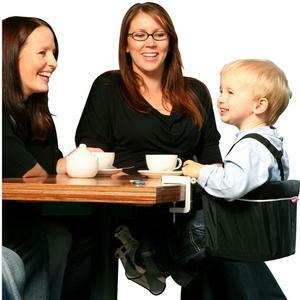 But IF we did we have noticed a lack of high chairs in most places usually only 2 , maybe 3 and if used all of them we would not be popular. Actually probable won't be popular if we did take our 3 out to dinner.... poor other diners! Have attached the picciesso you can see how cool they are. 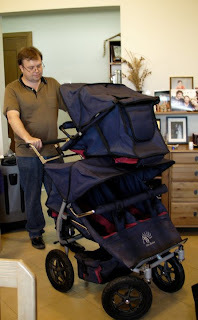 When we found out we were expecting 3 we spent heaps of time researching for prams and finally decided on the ABC buggy which can take 2-4 babies from birth to age 3.....it is a real humdinger of a beast! We have named it The Hummer 3 and heaven help anyone who steps in front as I am sure that the stopping distance will be at least 1.5 metres! The added hazard is as I am 5 foot nothing I can only just see over the top so people will be in double jeopardy..... well they have been warned.No it really isn't going to be that deadly for the general population but it will draw attention to us.... not sure how I feel about that but will deal with it as it occurs.Isn't she a beauty? Will keep adding different things.... maybe even explain a bit about how we come to be on this glorious adventure in another entry. At the moment I am just enjoying this fantastic buildup to achieving our dream of having children together.